Over the last few decades, all 50 states have taken steps to help educate people and prevent the prevalence of obesity. But policies simply aren’t enough. In America today, more than one third of the adult population is overweight or obese. In some states, including Tennessee, North Dakota, and Alabama, more than 35 percent of children tip the scales with a body mass index of 30 percent or higher. If we want to win the war against obesity and enjoy health as a community, we must arm ourselves with information and be willing to put in a lot of hard work. 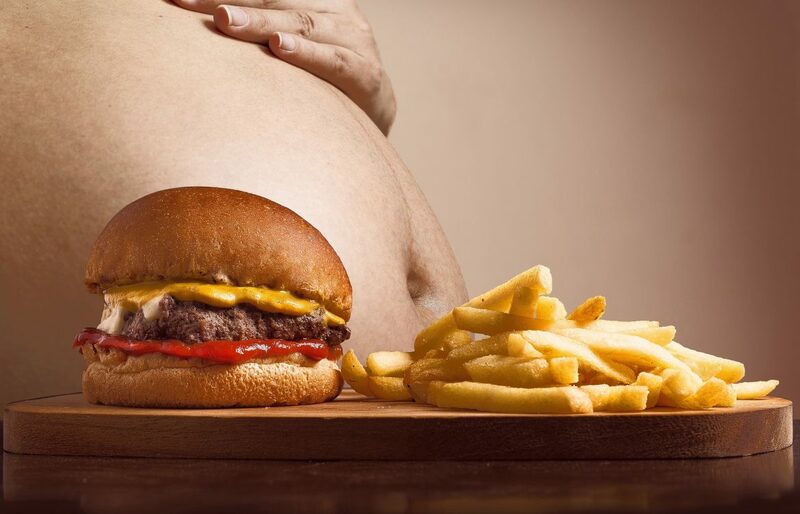 According to NBC News, nearly 18 percent of all deaths in the US can be directly contributed to the obesity epidemic. While some recent studies suggest that having a little extra weight may offer some protective benefits for senior citizens, everyone else — children, adolescents, and adults — should strive for a healthy weight. Obesity is known to cause or contribute to numerous health conditions including heart disease, diabetes, and arthritis. Weight loss is not simply a matter of what a person eats. Maintaining a healthy body mass requires a daily commitment to living a healthy lifestyle. Healthy habits include getting enough sleep, enjoying an active social life and exercising. Food, which is fuel for this healthy lifestyle, should be fresh and healthy and contain little to no processed fats or sugars. People who are trying to lose weight or maintain their current weight should start each day with a balanced breakfast that includes complex carbohydrates, protein, and fiber. Sleep is an important part of a healthy lifestyle. According to UC Berkeley professor Matthew Walker, “getting a full night of sleep is one of the most underappreciated factors contributing to healthy weight maintenance.” Not only does sleep help the body feel renewed, it can help reduce cravings for unhealthy foods and condition the body to burn calories more effectively. In addition to sleep, a healthy routine also includes 30 to 60 minutes of physical activity each day. This can be walking, riding bikes, doing yoga, swimming, or any other activity that is enjoyable and sustainable. For most overweight people, the biggest problems are a sedentary lifestyle and overreaching for convenience foods. However, there are a number of physical and mental health concerns that can cause or contribute to an expanded waistline. Physical health conditions, such as Cushing’s disease and hypothyroidism, are known and well-respected throughout the medical community. But depression, stress and low self-esteem are often overlooked contributors. It is important to tackle any underlying emotional issues before attempting to begin a weight loss regimen. The vast majority of otherwise healthy adult can see an improvement in their weight and overall health by adopting wellness-focused habits, such as getting enough sleep, exercise and eating a balanced diet. But for some, primarily people with a body composition in excess of 40% body fat, it may be too late to take small steps toward a healthy lifestyle. This group may be in immediate danger of heart failure and, according to Marina del Rey Hospital, should consider weight loss surgery. There are different types of bariatric surgery. Most bariatric procedures are done laparoscopically and are considered minimally invasive. Bariatric surgery may involve adding a gastric band or removing a portion of the stomach completely. Gastric bypass is another form of bariatric surgery that bypasses much of the digestive system and severely limits the amount of food an individual can consume. Qunomedical explains that the risks of gastric bypass are similar to other surgical procedures and may include gallstones, infection and gastrointestinal disturbances. Obese individuals should discuss with their doctor the risks as well as potentially life-saving benefits of this last resort. Obesity takes the lives of millions of Americans each year. Fortunately, it is a preventable and reversible condition for those who are willing to reevaluate their way of life and commitment to health and wellness. This post was written by Dana Brown (HealthConditions.Info).